Julia Swain, an attorney with Fox Rothschild LLP, recently served as a course planner and presenter for the Pennsylvania Bar Institute’s “Paternity Cases” seminar. The seminar was held at the PBI Conference Centers in Pittsburgh on June 27, 2008; Mechanicsburg on July 11, 2008; and Philadelphia on July 25, 2008. Swain served as one of three course planners for the seminar, which highlighted the important question of paternity in domestic relations disputes. The seminar focused on such topics as establishing paternity, paternity procedures in support actions, paternity without a support action, and post trial and appeals. Swain, who is resident in Fox Rothschild’s Philadelphia office, concentrates her practice in the area of family law, including divorce, custody, support, equitable distribution, and abuse. 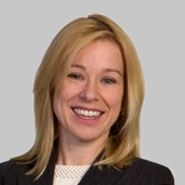 She negotiates settlements and prenuptial agreements and litigates family law cases in the five-county Philadelphia area, including the appellate courts. Learn more about Fox Rothschild LLP.